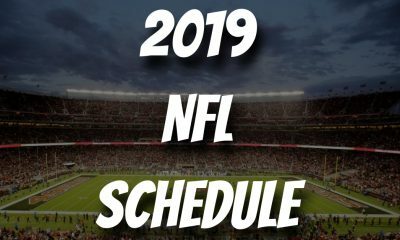 After a HUGE win yesterday with my core plays, we’re back at it today with a little bit of a worse slate that features six games with a lot more chalk. Let’s see what we can do. The way I’m setting up my article today is so that you can use this singular piece of content to create a lineup. 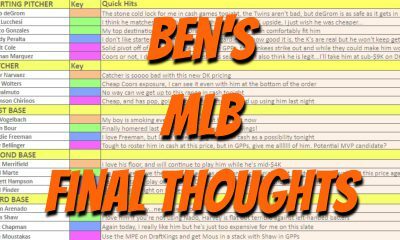 While I’m including my TOP GPP plays, I am also including other chalkier/optimal plays that you can plug into a lineup surrounded by some lower owned GPP plays. 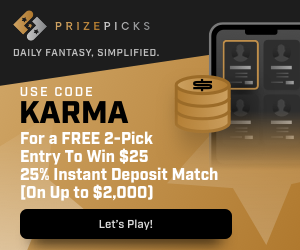 My core continues to be on fire so make sure to check that out tonight by purchasing the NBA Core Plays package at dfskarma.com/shop and asking any questions you have in Discord tonight to fill out the rest of your lineup. 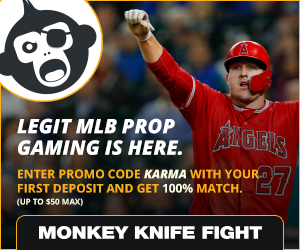 Make sure as usual to leverage some of my TOP GPP options with a core of chalkier plays. 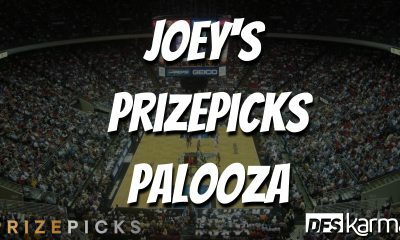 Let’s get into my top GPP plays for this slate. D’Angelo Russell: I’ll try to limit my exposure to the Nets/Kings game in this article but it truly is the best game stack of the day and the Nets players are currently underpriced. D’Angelo Russell has a 50-60 DK ceiling every time he steps on the court and sees over 30-32 minutes per game. You better believe Kenny Atkinson is going to ride his first-time all-star HEAVILY heading into the final stretch of the season where the Nets are FIGHTING for their playoff spot. They have the toughest schedule of games down the stretch and if Russell isn’t playing heavy minutes the Nets will not make the playoffs. 7.4k for Russell averaging 1.35 FP/min is an absolute steal. He’s a lock in all formats for me tonight. Spencer Dinwiddie: Dinwiddie is a forgotten part of this Nets team on the second unit and a dark horse for the sixth man of the year behind Lou Williams. Dinwiddie has been extremely productive of late in the same stretch that Russell has been dominating, something we weren’t accustomed to seeing earlier this year. Dinwiddie is averaging 1.15 FP/min the last few weeks and while I do believe Russell is a MUCH better play for only 1.4k more, Dinwiddie is going to be the lower owned option with a ton of upside in a game that is projected to be a shootout with a tight spread that could even lead to OT, #Gamestack. 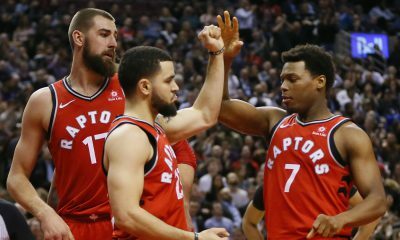 Bogdan Bogdanovic: On the other side of this Nets game, Bogdan Bogdanovic has seen his fantasy production fall off a cliff the last week or two and we’ve seen his price come down $900. With that being said, Bogdan is projected for a normal amount of minutes tonight, around 26-27. This Nets game is going to be a shootout and getting a player with 10x upside at his current price in this game (enviormnment/pace/defense), a huge game is definitely in the realm of possibilities. Domantas Sabonis: If you followed my core yesterday (we absolutely smashed with Drummond/Doncic fill-ins), you had a fantastic day but if you ended up plugging in Sabonis he was a bit of a buzz kill in your lineups. I’m giving him another shot today in one of the best matchups we could ask for in a pace up game. No one is going to want to play him after he flopped last night + got a price raise. He’s going to go lower-owned tonight and has a realistic possibility of putting up a 40+ DK point game. Brook Lopez: This game is going to be #weird. 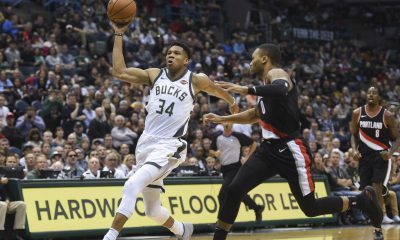 No Giannis. No LeBron. 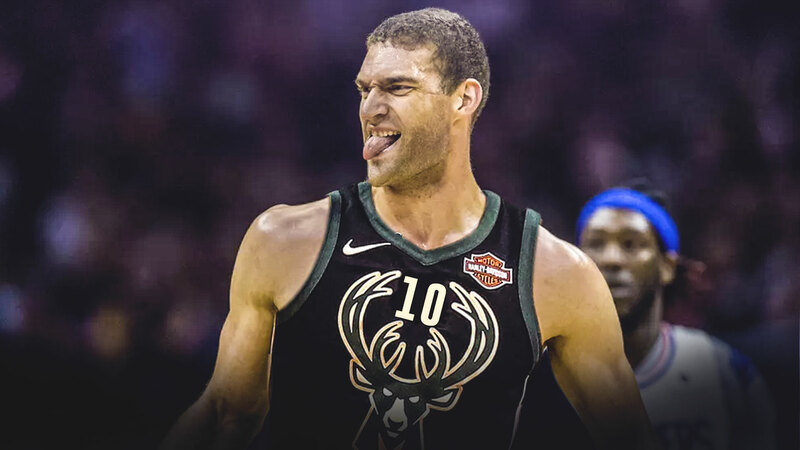 With everyone stacking up Bledsoe/Middleton/Connnaugton, Brook Lopez is starting to slide under the radar where he gets big bumps across the board and just like his teammates, his price has not been altered with the Giannis news coming out too late. Now Lopez gets a revenge matchup against the team that let him go at the end of last season on a streak where he has exceeded value at his current price in five of his last six games. Lopez has been one of the best shooting big men this season and if he can keep it rolling tonight, the boost in usage and shot attempts he is bound to see will really rise his ceiling to an elite GPP play.